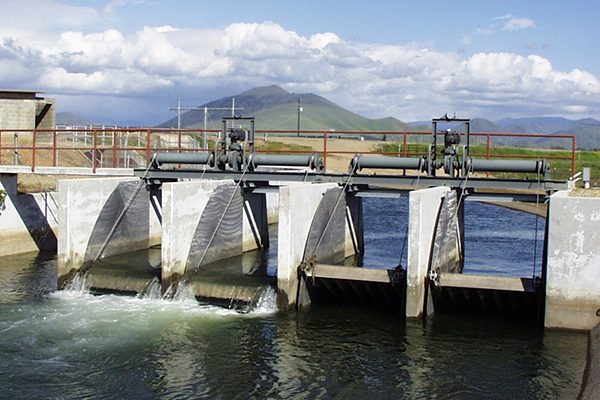 Overshot gates (also known as pivoting weir gates) are used to control upstream water levels. Versatility, efficiency, and safety are the primary reasons the Fresno Overshot Gate is the method of choice for municipal, agricultural, and industrial canal water control. Custom engineered to fit most dimensions. Manual, electric, or solar operation. Proven technology - over 10 years of successful operation. Safe, cost effective replacement of existing check boards. Reduced labor and less chance of injury. Optional side rubbing panels ensure perfect fit - no wear, no leaks, no repairs. Available in aluminum, stainless steel, or carbon steel materials.